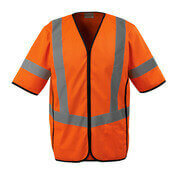 If visibility at work is a must, MASCOT has one of the widest assortments of hi-vis workwear on the market. All our hi-vis workwear is approved according to the safety standard EN ISO 20471, and thereby provides you with maximum visibility – at any hour of the day. 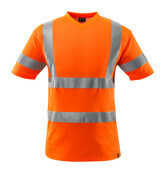 The fluorescent fabric makes you visible in daylight, while the long, broad reflectors make you visible in the dark. 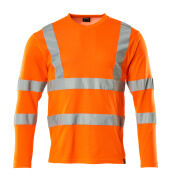 A large portion of our hi-vis workwear is treated with Teflon® – a treatment that makes the clothes dirt resistant, and thereby ensures your visibility. MASCOT® SAFE includes several ranges of hi-vis workwear, so you can get exactly the safety certified workwear with the design and the properties that you want. 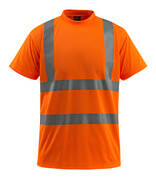 You can choose between three different fluorescent colours as well as many contrast colours. The clothes are certified according to three safety classes 1, 2 and 3, where class 3 is the highest class. In order for you to obtain class 3, you have two options. You can either choose products labeled with class 3, or you can choose products that together achieve class 3. 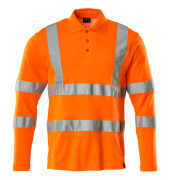 MASCOT has developed an easy letter system that is approved by the certification institute, so you can easily find the most protective hi-vis workwear. MASCOT® MULTISAFE is hi-vis workwear for the ones who need multi protection at the workplace. All MASCOT® MULTISAFE products with hi-vis are certified anti-static, acid-resistant and flame-retardant. Furthermore, all jackets in this range protect against electric arc, while some also protect against occasional welding arcs. Additionally, more reflective material has been added to the products than what the standard prescribes. 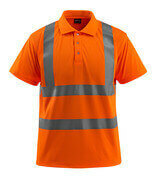 You will therefore get maximum safety with hi-vis workwear from this range.